ensuring that detainees are treated in a dignified and humane manner. 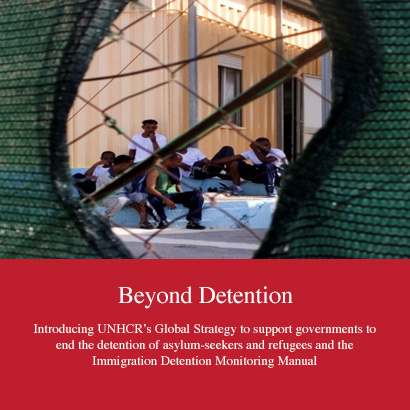 UNHCR’s Global Strategy – Beyond Detention is a strategic initiative aiming to address challenges and concerns around detention policies and practices worldwide. Twelve countries, including Canada, have been selected to be part of an initial roll-out phase and to work towards three main goals: a) to end the detention of children, b) to ensure availability of alternatives to detention in law and in practice, and c) to ensure that conditions of detention meet international standards. Erin Pearce and Andrew Kuipers are the Kinbrace staff leading this pilot project, carrying out detention monitoring, writing reports, and liaising with UNHCR, CBSA, BC Corrections, and others.